With China emerging as a manufacturing superpower at the same time as the European Union began to flex its collective strength, the past several decades has seen supply chains become increasingly more sophisticated and complex. Any enterprise with serious global ambitions realized that to compete globally meant they needed to effectively source globally. With the complexity brought on by rapidly expanding supply chain networks, expanding global markets for finished products, and facilities around the world supporting those growing markets, it has become absolutely essential to the optimal performance of supply chains that all involved parties are completely committed to frictionless supply chain collaboration. Effective collaboration with supply chain partners requires that your organization share valuable information in real time. You are trying to create, through near-transparent communication, a network of collaborators to act as an extension of your efforts to get the right product to the right customer in the right market at the exact time they want and need it. Sounds simple, right? What kinds of collaboration are we talking about? 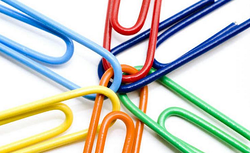 According to Supply Chain Digest, there are three general levels of supply chain collaboration. Supply Technologies’ single ERP system allows effective, efficient collaboration to whatever level the customer is comfortable with. Our system has the flexibility to allow everyone, at every location across the globe, to understand what is happening when and where, in real time, via an easy-to-navigate dashboard. The platform is able to manage massive amounts of current inventory specifics and has the power to analyze past activities, anticipate future needs through “what if” modeling, understand and plan replenishment cycles, manage accounting functions, track productivity and collaborate throughout the entire supply management process. The system also has the transparency and interoperability to integrate completely with customers’ systems, even if it is a patchwork of legacy systems. If you are losing sleep because you cannot get the idea out of your head that your supply chain has not achieved the level of system-wide collaboration necessary to provide your enterprise the best combination of cost control, quality delivery, and customer satisfaction and loyalty, do yourself a favor and talk to someone who spends every day making supply chain perform better. And if you do not know who to call, call me or one of my associates. I am sure we can help.